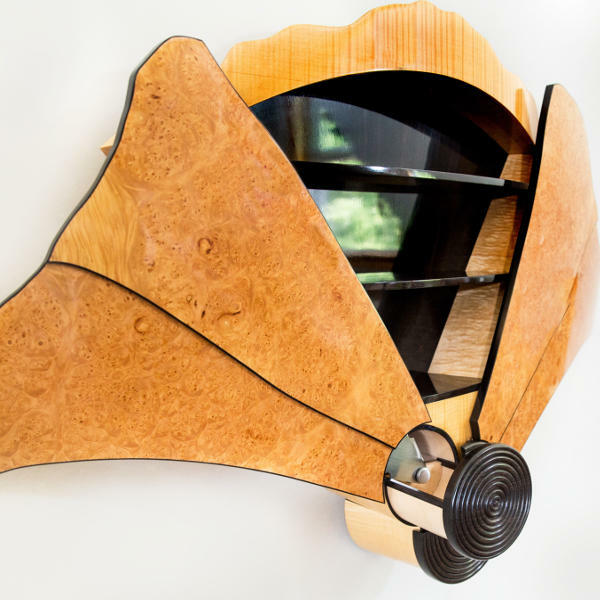 Karelian birch veneer, walnut, shellac, acrylic medium with water based dyes, varnish. 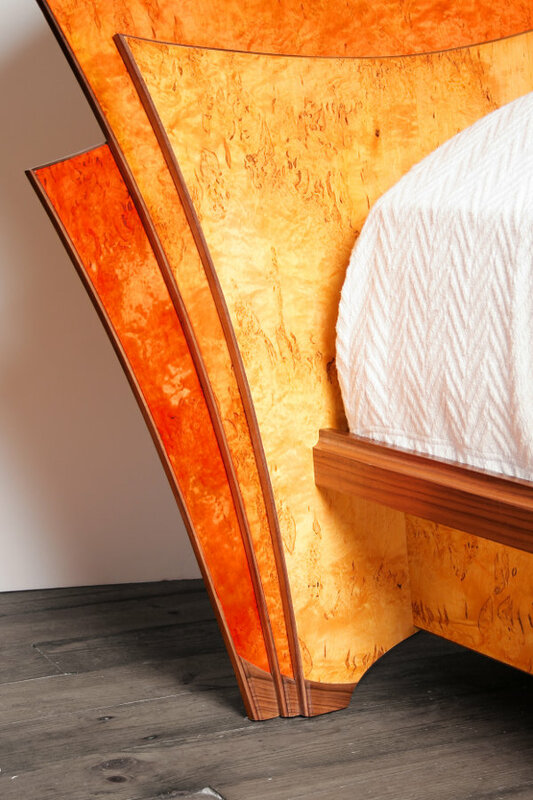 The headboard is constructed from three independent, 4'x8' curved panels that serve to wrap the Karelian birch veneered headboard around the bed's occupants. The headboard is canted back to make sitting in the bed as comfortable as sleeping. The solid birch platform sits 3" off the floor and houses two large, hidden 42" w x 21" d drawers on each side of the bed.